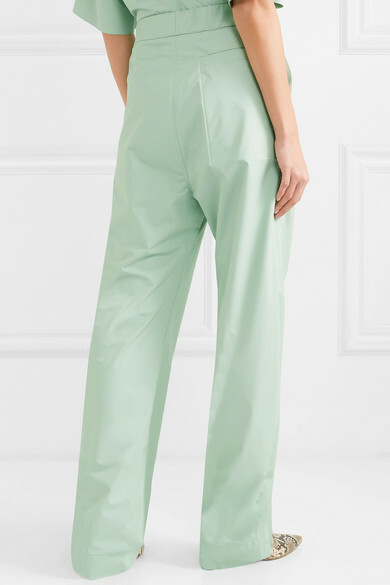 Léa Dickely and Hung La, the husband and wife duo behind Kwaidan Editions, met as students and connected over a mutual love of cinema, so their collections are often inspired by their favorite films - Spring '19 looks to the sci-fi movie World on a Wire, with pieces like these pants capturing its clinical, futuristic feel. 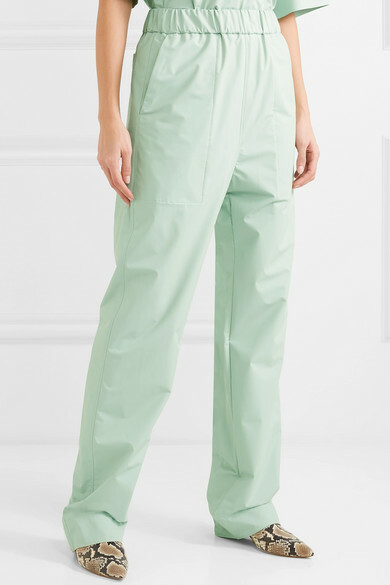 They're cut from lightweight coated-poplin and have a straight-leg fit. Team them with a white tee or the matching T-shirt to bring out their minty hue. Shown here with: SIMON MILLER Clutch, REJINA PYO Pumps.